My Sunny Resort - Hotel Management Games - Play free now! Slip into the role of a hotel manager in this browser game. My Sunny Resort will let you open your own holiday resort. Idyllically set by the ocean, you will lay the foundation for your first resort facility. Dive into the fascinating world of hotel management games. Enchant your guests with amazing attractions, impressive decorations, and feel-good-atmosphere. Open your My Sunny Resort now! 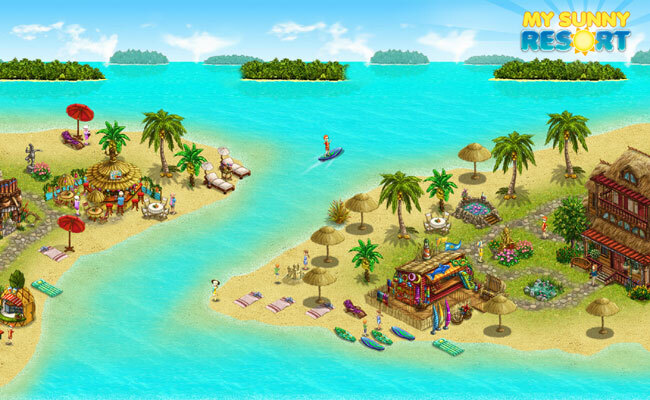 In the game My Sunny Resort, you slip into the role of a hotel manager and establish your own hotel management empire. Use countless online game management features to advance your hotel management career. Create a magical vacation atmosphere. Put your hotel manager qualities to the test in the online management game browser game My Sunny Resort. 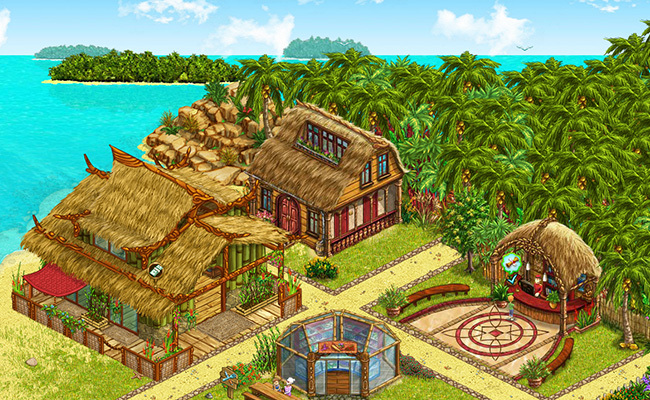 Build bungalows and equip them with various items, change the walls and flooring, set down flowerpots, place sculptures and turn you’re my Sunny Resort into a true vacation paradise. Discover the hotel management sensation in your browser. Create your resort empire with travel destinations all over the world! Join in! What a heavenly setting! The waves roll gently towards the shore, the guests are enjoying the sun or wading in the water. In My Sunny Resort, vacation isn’t just fun, but also work. As an aspiring manager of your own holiday resort, you will improve your hotel management skills step by step. Each new level unlocks exciting online game management features and elements. Expand your resort, attract more guests and give them the vacation of a lifetime. My Sunny Resort provides you with long-lasting fun with a vacation vibe. Register for free in the upjers Portal and join in! Experience the colorful world of browser games. The Bamberg game developer upjers offers a diverse assortment of so-called free2play games. These are free browser games that can be played over the internet. 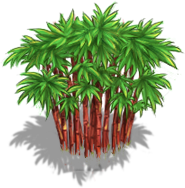 The selection ranges from zoo games to online management browser games. 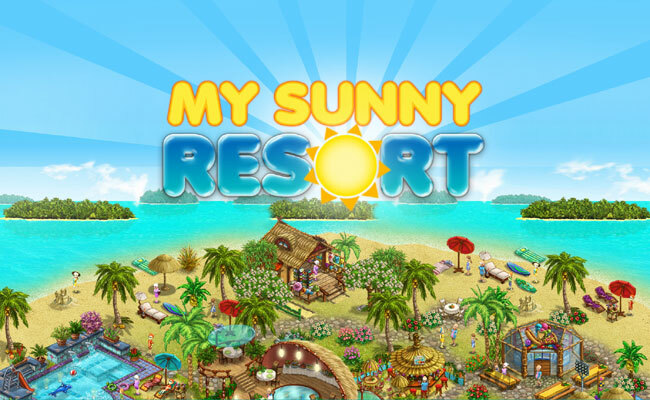 Find tips, tricks, and online management game info in the My Sunny Resort forums.